You depend on good vision to carry out daily tasks confidently and comfortably, so it is important to take proper care of your eyes. Glaucoma is a serious ophthalmic disease that can lead to irreversible blindness if it is left untreated. The condition is characterized by damage to your optic nerve, often caused by elevated intraocular pressure. This damage impairs your ability to process light signals. Glaucoma often progresses free of symptoms until it reaches its later stages, so it is important to come in for regular eye exams to screen for early indicators. At Grin Eye Care, our doctors use sophisticated diagnostic tools and provide treatment options so that you can experience healthy vision for years to come. Contact us today to schedule a consultation with one of our doctors at our Olathe or Leawood office. Open-angle glaucoma is far more common, and is usually due to an asymptomatic increase in intraocular pressure. It is called open-angle because the distance between the iris and cornea is relatively wide, like it would be in a healthy eye. This kind of glaucoma is also called chronic glaucoma. Ninety percent of glaucoma sufferers experience this type. Angle-closure glaucoma involves the sudden closure of the normally open area between the cornea and the iris where fluid drains. When the angle closes, the fluid cannot drain, and the pressure spikes up rapidly and dramatically. Unlike open-angle glaucoma, acute angle-closure glaucoma is sudden in onset, causing noticeable vision loss very rapidly. This type requires immediate treatment to prevent irreversible damage and preserve your vision. Angle-closure glaucoma can also be chronic. 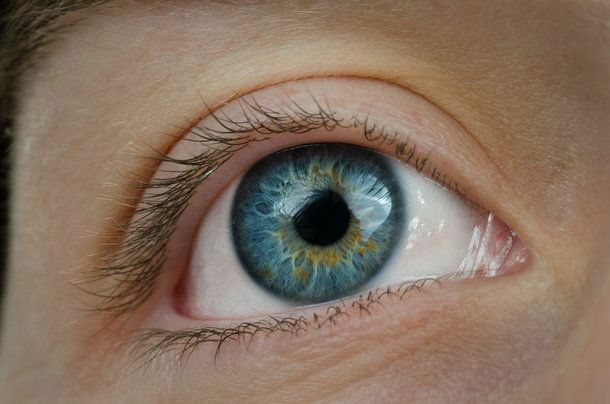 The angle slowly scars closed due to variations in anatomy or abnormal blood vessels or inflammation in the eye. This leads to a slow increase in intraocular pressure, which causes damage to the optic nerve over time. Although it is less common, some patients can experience glaucoma without excessive intraocular pressure simply because their eyes are very sensitive to otherwise normal pressure levels. Once you have discussed your risk factors, your doctor will perform tests to measure your intraocular pressure, examine your optic nerve, check your eye’s ability to drain properly, and evaluate your peripheral vision. Optical coherence tomography (OCT) is a type of imaging test that uses light waves to analyze the health of the optic nerve. We perform visual field testing to check your peripheral vision. Chronic glaucoma often impairs your far peripheral vision first and this can only be detected by detailed testing. We perform a corneal pachymetry to measure the thickness of your cornea, which can affect the reliability of the intraocular pressure reading. Thin corneas are also an independent risk factor for glaucoma. During gonioscopy, your ophthalmologist or optometrist will use numbing drops to anesthetize your eyes and gently place a mirrored contact lens that reflects the angle between the iris and cornea. This can help your doctor determine if you have acute or chronic glaucoma. We use these diagnostic tools to catch glaucoma at an early stage so that we can administer the proper treatment and slow its advancement. We provide several treatment options for glaucoma, depending on the type you suffer from and how far it has progressed. Medicated eye drops can reduce your intraocular pressure, either by decreasing the amount of fluid produced in the eye or improving the outflow of fluid from the eye. We may also recommend selective laser trabeculoplasty (SLT) to modify your eye’s drainage angle. This allows excess fluid to flow out of the eye more easily, reducing pressure. Our doctors can perform a peripheral iridotomy for patients who have or are at risk for closed-angle glaucoma to open the angle between the iris and cornea. These treatments help glaucoma patients maintain as much of their vision as possible. To prevent blindness from glaucoma, it is important to understand your risk factors and undergo regular diagnostic testing. Whether you have already been diagnosed with glaucoma or want to take preventive measures, we can help. Contact our office today to schedule a consultation with one of our doctors.